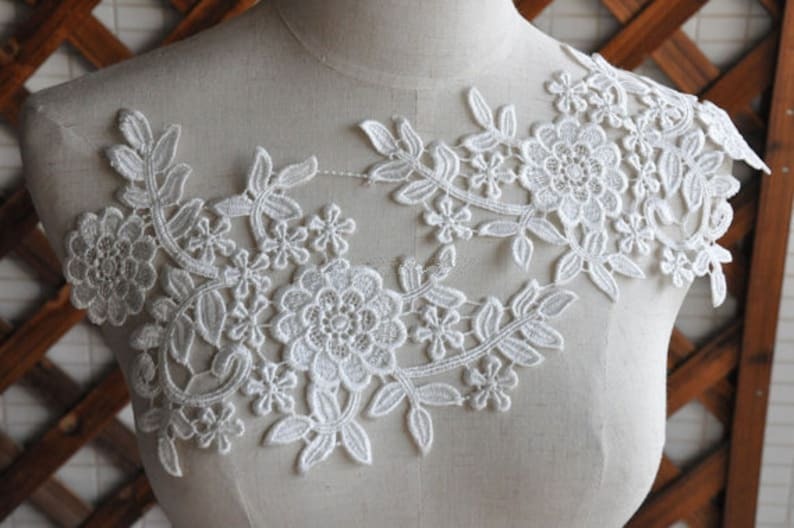 This lace is gorgeous! They look exactly as they do on the site and the store actually threw in one extra pair! Took about two weeks to arrive, which I was expecting. We offer a 7 day (as when you get the item) money back guarantee on damaged or wrong item only, under the condition that picture must be provided for evidence. Anything couble be negotiable, please convo me and we blieve we can offer perfect solution for any problems. Ship via Registered Air Mail(needs signature when receiving), it usually takes about 10-30 days(1-2 months to Brazil, not fast). We ship within 3 to 5 days. We use China Post or HongKong Postal Air for shipping. Your local carrier will take over the delivery once it lands (such as usps,canada post, parcelforce,etc),it generally takes around 10-25 days to most countries. A notice will be left on your door if no one at home to sign for the parcel, BUT sometimes you might miss it or just because of an irresponsible postman, the way NOT TO MISS your parcel is contact me quickly if haven't received it on time(over 25 days), otherwise your parcel will be returned or just abandon as unclaimed for post office only keep it for 1-3 weeks. Pls. understand it's not a seller's fault for unclaimed parcel, i'm not responsible for returning unclaimed parcels, you can pay re-shipping fee for a second shipping or ask for a refund of item fee(shipping non-refundable), thank you so much for your understanding!. 1.) Default Shipping: Registered Air Mail by China post. * Most countries: 10-30 business days. In some states, it takes longer up to 5-6 weeks. * Brazil or other South America countries: 30-60 business days, very slow. 3.) If you do need the items in urgency, we can send them via EMS express which will only take about 7 days. But the shipping fee will be much higher. The more you buy, the lower cost will be for each single item. Convo me for more details. 4.) Ship to Etsy address NOT Paypal, pls. confirm address before checking out. 5) Please leave your phone numer in your message, it is very convenient for the post office to contact you. All the items in this little shop are brand new.stored in a smoke and pet free room. Some are available in wholesale ,please convo me for details. If you are pleased with the items, thank you for leaving us positive feedbacks.